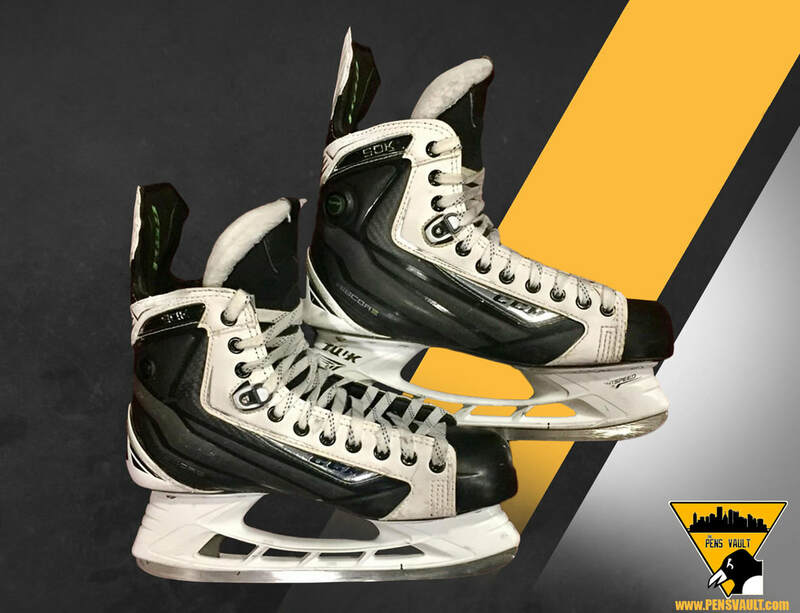 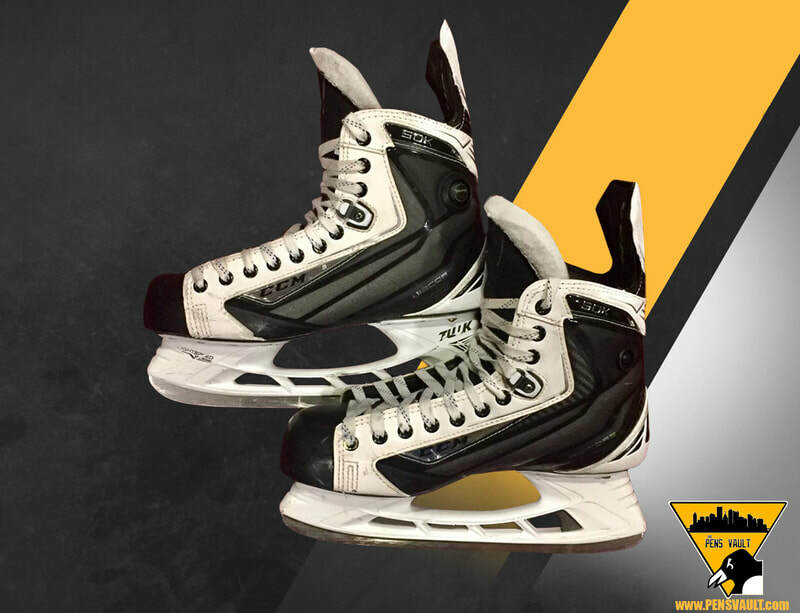 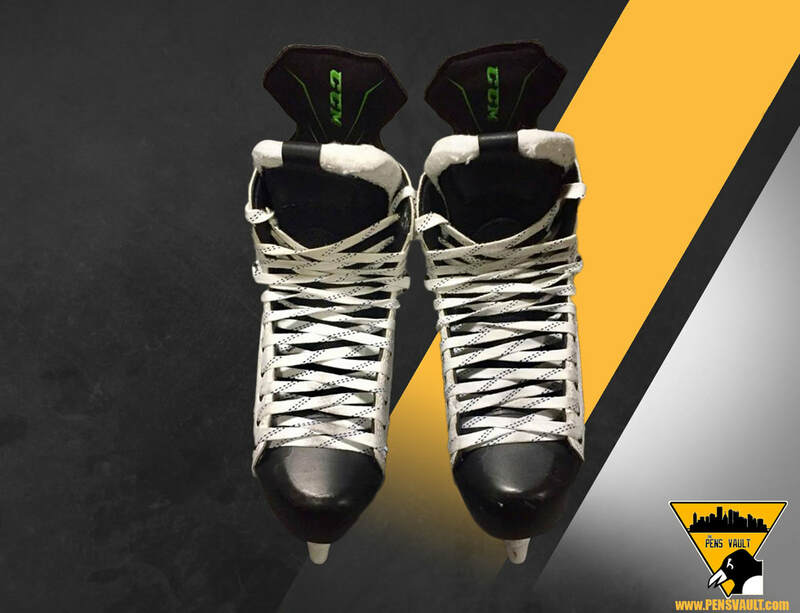 These skates were worn by Penguins' winger Carl Hagelin during the 2016-17 Stanley Cup Championship season. 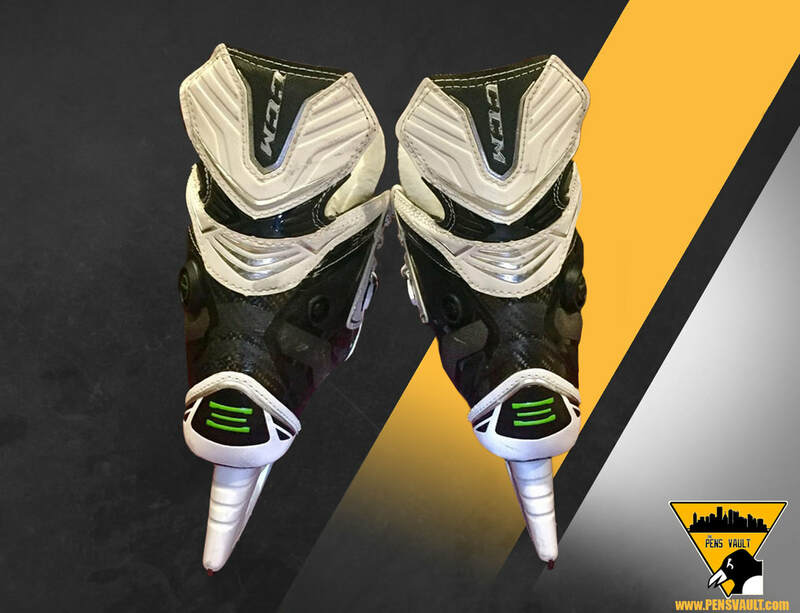 The CCM 50K Ribcore skates are a size 9D. 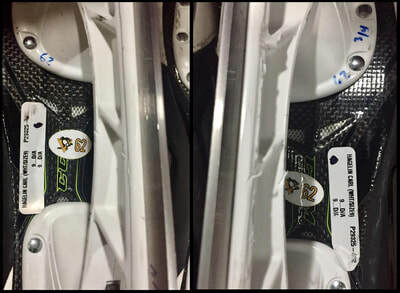 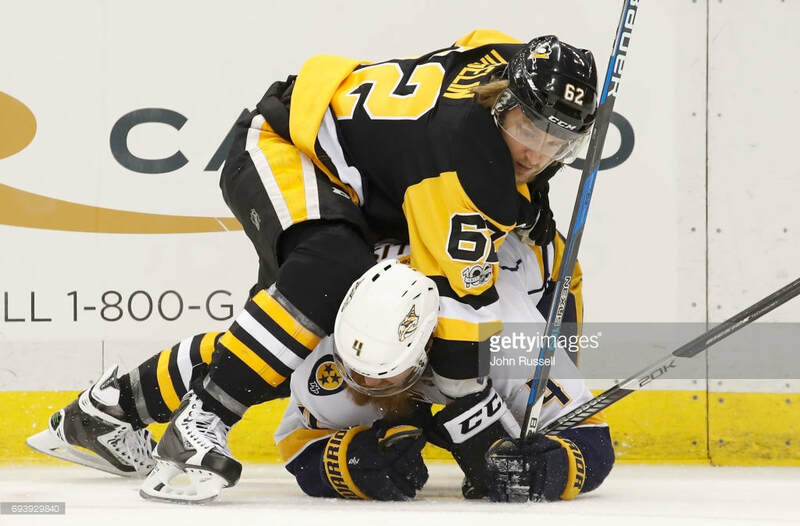 They are sharpened to Hagelin's preferred 3/4 hollow. There are identifying decals on the bottoms of each skate to help identify the player as well as the equipment managers marks to identify the player's preferred hollow.